On May 16th, Apple announced that customers had downloaded over 50 billion apps from the App Store. To commemorate the 50 billionth app downloaded, which was Say the Same Thing by Space Inch, LLC, Apple gave Brandon Ashmore from Mentor, Ohio a $10,000 App Store Gift Card. Eddy Cue, Apple’s senior vice president of Internet Software and Services also noted that it took less than five years to hit this momentous milestone and that Apple thanks all its customers and developers for making the App Store what it is today. The App Store has been consistently growing, with downloads over 800 apps per second. Customers are downloading over two billion apps per month on the App Store. The App Store offers more than 850,000 apps to iOS device users in 155 countries. Apple has revolutionized how we use mobile devices with the creation of app ecosystem. Apple also noted that the App Store paid out over nine billion dollars to developers. The App Store provides opportunities for developers to mold their ideas into apps, while at the same time providing users the opportunities to use these apps. It’s whole different way of doing business, right from your iOS device. An important note is that this article is in regards to the App Store for iOS devices and does not include the Mac App Store, which provides apps for OS X. On Monday, February 4th, a big event happened for fans of iOS jailbreaking. ‘Evasi0n’, an untethered jailbreak for iOS 6.x, was released. This means that this jailbreak is the first to be compatible with all iPhone, iPod touch, iPad, and iPad mini models running on iOS 6.0 through iOS 6.1, the newest iOS so far. Why is this important? The significance is mostly for those users who have iOS 6 on their devices and couldn’t jailbreak it until now, which is mostly iPhone 5 users. This opens the doors to a range of opportunities for users to tweak and mod their iOS devices. The Evad3rs team, consisting of Pod2g (Cyril Cattiaux), MuscleNerd (Eric McDonald), Planetbeing (David Wang), and Pimskeks (Nikias Bassen), awaited the release of iOS 6.1 before releasing the jailbreak, which would increase the effective time of the software. Because Apple has increased the security of iOS 6, it takes longer for vulnerabilities that enable a jailbreak to be found, which is why it was more effective for the Evad3rs to wait so Apple can’t immediately patch the jailbreak with the release of iOS 6.1. 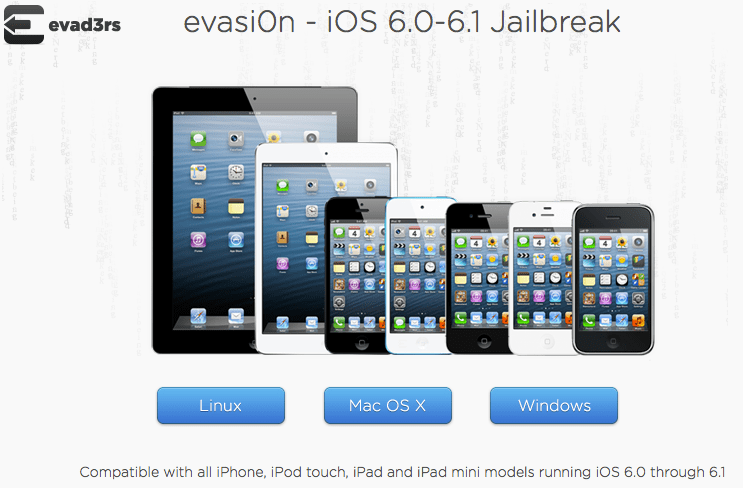 The website for the jailbreak is www.evasi0n.com. The jailbreak can run on Linux, Mac OS X, and Windows. The website provides Mirrors to download Evasi0n from, including box.com, MEGA, and RapidShare. The response has been incredible with evasi0n. Cydia administrator, Jay Freeman, told Forbes that evasi0n has been installed on seven million iOS devices within only four days. For those out there with iOS devices running iOS 6.0 to 6.1, are you ready to jailbreak? If you don’t know what jailbreaking is, click on this link for a general overview of what jailbreaking is. Note: Therealmacgenius.com does not hold liability for the damage of products by way of this software. Use it at your own discretion. On October 23, 2012, Apple released the new iPad mini. It is said to be 23% thinner and 53% lighter than the previous iPad. It starts at $329 for a 16 GB Wi-Fi model. It is also available in 32GB and 64GB and in Wi-Fi + Cellular models. There are two color choices: Black & Slate and White & Silver. The iPad mini is very similar to the iPad, except that it is a lot lighter and can easily be held in the palm of your hand, like other tablets in the market, mostly those running Android OS. Can the iPad mini compete? 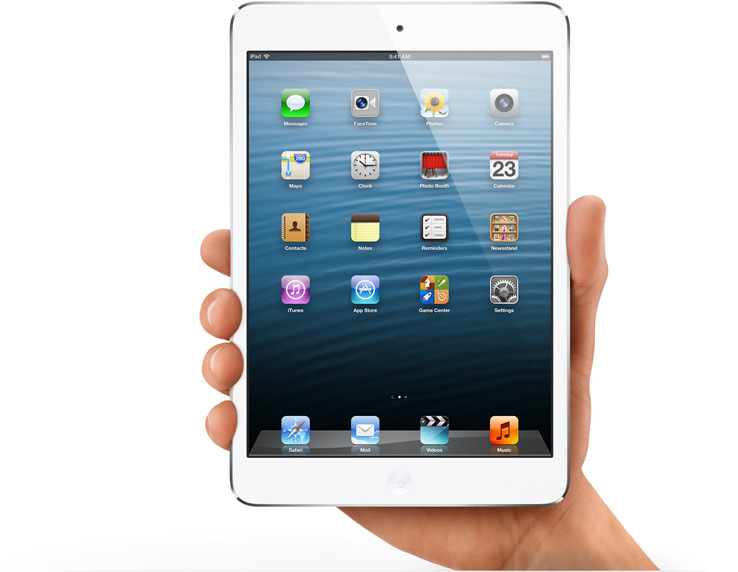 Some of the features of the iPad mini are nothing new to those who have seen or used an iPad before. It has the standard built-in apps such as FaceTime, Email, and Message, and it also has access to the App Store, which houses over 275,000 iPad apps. In terms of tech specs, it uses the fast A5 chip that provides speed and fluidity to the tablet screen. It is stated to have a 10-hour battery life as well. One feature specific to Apple products is FaceTime. 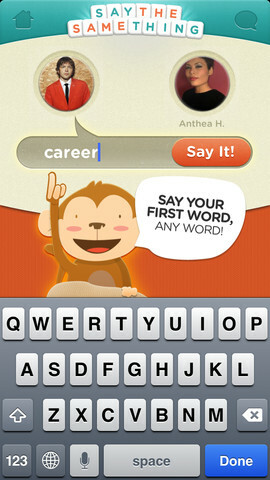 It is a built-in app and can be used over Wi-Fi or cellular data. While using the iPad mini, you can take advantage of the front-facing FaceTime HD camera or the iSight camera on the rear. The iSight camera even lets you capture videos in 1080p HD and takes full advantage of the 5-megapixels to capture photos. The iPad mini features dual-band 802.11n Wi-Fi, which means faster Internet connection with download speeds up to 150 Mbps. If you do get the Wi-Fi + Cellular model, you also have access to LTE, HSPA, HSPA+, DC-HSPDA, and cellular and wireless networks. The iPad mini also comes with Siri: the intelligent assistant, iCloud: Apple’s cloud service, and iOS 6: the most recent and advanced of Apple’s operating systems. However, the most recent iPad contains these features, so the iPad mini is essentially only a miniature third generation iPad. It has the same resolution as the previous iPad, 1024×768, but has a smaller screen to pack all those pixels. On the downside, it doesn’t have the Retina Display that most iPads have. It does have the same front and rear camera as the iPad with Retina Display, but lacks the Dual-core A6X with quad-core graphics, meaning slightly slower performance. For approximately $170 cheaper, you can get a miniature version of the newest iPad with slightly less advanced tech specs. Whether it can compete against the iPad with Retina Display or other similar tablets, has yet to be determined. Your best bet is to go to the nearest Apple Store and try it out yourself. Who knows, you may end up walking out with a brand new iPad mini.